As their name suggests, high temperature coatings are those that are able to provide corrosion protection even under extreme heat. Industrial high temp coatings are widely used in process-based facilities such as refineries, petrochemical plants, pulp and paper mills and power plants. These facilities usually contain extensive networks of pipe that need to be diligently protected from corrosion under insulation and away from the naked eye. For this reason, it’s essential facility managers have confidence in the effectiveness of their high temp coatings. Predictably, high temp coatings are also often used on smokestacks, kiln exteriors, portable fireplace units and so on. Different uses require different properties from high temp coatings. Often our customers will ask if a high temp coating will still provide the corrosion protection they’re looking for, or if it is safe to use on a barbeque pit. Here we’ll discuss a few features to consider when selecting a high temp coating. Ease of application should be a major consideration when selecting a high temp coating. It can be the deciding factor when choosing between two products. The reason being, high temp coatings are often not applied as a part of some massive recoating initiative, but rather on an as-needed basis, with touch ups occurring at various points around a facility. With a product that is easy to apply, such as a single-component, direct-to-metal coating, assets that have been taken out of service by corrosion can be returned to duty quickly. In the case of coatings under insulation (CUI), single-component systems are easier to apply in sections where the insulation has been removed, but more on the issues presented by CUI in a later post. Single-component systems are also easier to keep in stock for spot touch-ups, ideally as a part of a regular coatings maintenance plan. To avoid needing to shut down entire portions a facility, it also helps to have a high temp coating that can be applied even to a hot surface. This feature will make spot coating portions of a facility a much more manageable undertaking and cause less of a disturbance to day-to-day operations. What is the effective temperature range of this product? It’s one of the first questions a customer will ask when seeking a high temp coating. And it’s really important. One of the most common sources of failure occurs when these coatings are expected to perform outside of the range they were manufactured to tolerate. Some coatings are rated between 350-400 degrees Fahrenheit, some are rated up to 1200 degrees and beyond. Different resins and chemical compositions of individual products will determine their effectiveness at high temperatures. Whatever their rating, protecting substrates from corrosion is always the main goal. In areas where piping is color-coded, or painted certain colors for purely aesthetic reasons, it’s important to confirm that exposure to high temperatures won’t lead to discoloration. Coatings with poor color retention can lead to recoating more frequently than would otherwise be necessary. In some situations it’s essential to verify that high temp coatings are food-grade safe. Consider the black coating on the inside of a traditional barbeque pit. Those coatings must consistently stand up to high heats while giving off no harmful chemicals that could compromise the food being prepared. Stay tuned to our blog for more on high temp coatings, or to browse our full line of these products, download our product catalog through the link below. A railcar faithfully serves for the length of its lease and then returns to the shop for inspection. The extent of necessary repairs is assessed. It’s repaired and then blasted with an abrasive. Next, the railcar is painted, followed by a curing period. Then quality control tests are run on the car to make sure the application measures up to standards. Finally, dry film readings are taken and some environmental measurements are recorded. This process is repeated as a part of the railcar maintenance process thousands of times for thousands of railcars in shops all over the country. This leads to a lot of quality control-related paperwork building up. It gets damaged. It gets moved. Even if the measurements are diligently recorded in the first place, the paperwork may no longer be available when the railcar returns for maintenance after five or so years. This makes it difficult to determine the cause of damage to the owner’s railcars. Was the railcar coating or lining applied improperly? Or was the product deficient? Being able to determine the cause of the problem is essential to fixing it, and avoiding costly repairs in the future. Digitized, more objective, better-organized quality control is the key to making more informed decisions about the cause of breakdowns. It’s also key to documenting damage. If you’re an owner that leases your railcars out, you expect normal wear and tear when your cars are returned. But in the case of extensive damage, the car needs to be repaired before it can be leased to another customer. Imagine contaminants or corrosive cargo have pitted the steel in a tank car. It must be cleaned, photographed, and then readings and measurements taken for documentation. The railcar maintenance process in many shops is time-consuming, and frankly, behind the times. Railcar coatings documentation is in need of serious overhaul. Luckily, cloud-based storage already provides a smart alternative to stacks and stacks of paper records. Digitally stored accounts of quality control readings, inspection details and photographs and descriptions of damage can then be retrieved with a few swipes of the finger. As tablets have become smaller, more durable and less expensive, their usefulness in industrial settings has increased dramatically. Software that’s compatible with paint thickness gauges has made quality control truly objective for the first time, while reducing errors from missed reading and sloppy transcription. And because quality control apps have the capability to sync in real-time, everyone involved in a project can stay on the same page. For coatings manufacturers, this means it’s easier for customers to hold our products accountable. Better records make it easier to pinpoint the source of a problem. When you stand behind your products, this is a very good thing. 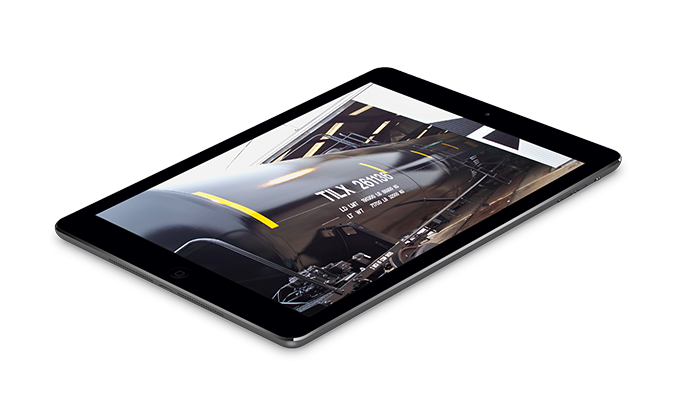 In addition to supplying railcar coatings, we’re committed to modernizing the railcar inspection process. Get in touch and let’s discuss how the digital documentation software we provide is improving owners’ inspection experience and holding manufacturers accountable for their products’ performance. According to the American Association of Railroads, there are currently over 380,000 railroad tank cars in service. The vast majority of these cars are not owned by railroads, but leased by private customers who use them to transport their products. Many of these lessees encounter a similar problem with their tank cars. It has to do with the percent solids of the coatings used to protect them. For a refresher on the percent solids of a coating, check out this post we wrote on 100% solids coatings. Due to the cylindrical shape of tank cars, and gravity, it’s more difficult to achieve the desired film build on the top of the tank, often leading to an unevenly applied coating. During its service life, this top portion of the car will be prominently exposed to repeated rain and harsh sunlight. Eventually, the stress leads to a problem known as “blooming,” or rusting on the top of the tank car. “Redheads,” as cars with this problem are known in the industry, are a good indication that something went wrong during the coating application process. This problem can be avoided by using coatings with a higher percent solids. With fewer solvents flashing off, the coating dries more quickly and it’s easier to achieve high film builds on the top of the tank. The end result is a coating that’s more evenly distributed over the entire tank car. But that’s not the only benefit of using a higher solid coating. Coatings that contain higher solids by volume also allow a shop to purchase less material to cover a given square footage. If a typical 60 percent epoxy has a theoretical coverage rate (where no loss occurs during the application) of 190 square feet applied at 5 mils DFT, an 80 percent solids version would have a theoretical coverage rate of 260 square feet applied at 5 mils DFT. The result is 27 percent less product that’s capable of covering the same area. 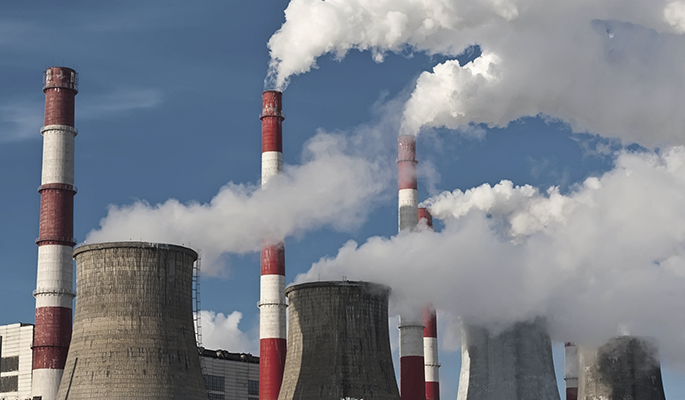 Higher solids coatings also significantly cut down on the amount of volatile organic compound (VOC) and hazardous air pollutant (HAP) byproducts. Lower levels of evaporating solvents mean fewer VOCs are released into the atmosphere, and into the shop. For large-scale operations VOCs can add up quickly, making cutting back on these substances necessary to avoid fines. Tighter regulation of VOC outputs may increase the importance of alternative choices in the near future. Some attempt to completely take VOCs out of the equation with water-based coatings. But this approach also has its drawbacks. They take longer to cure, potentially causing backups in the shop. Properly accounted for, this strategy can be a viable solution. But like we’ve talked about before, the best solutions draw on a number of key features. Ideally, the right product will offer a balance of these key features. It should have relatively high solids by volume for film build, and low VOC output to ensure that the shops where it is applied adhere to environmental standards. It should be able to be applied efficiently and in a timely manner. And of course, it must be a cost-effective solution. Click the link read more about our railcar coatings, or visit our tank linings page for more on linings. There are a lot of options out there when it comes to choosing the best coatings to protect the railcars you own or lease. So how should you know which one to choose? When it comes to selecting the right product to protect your cars, it’s best to consider your goals for the coating. How long do you expect it to last? How much time do you expect to spend applying it? What sort of abuse do you expect it to withstand? The answers to these questions will provide a good basis for your strategy moving forward. If you’re expecting a long life cycle for your coating, it goes without saying that a more durable product is in order. But if you know the railcar is brought in every five years for scheduled maintenance, it may not make sense to go with the most durable multi-coat finish when a sufficient, single-coat system could do the job at a lower cost. Many shop owners worry about long curing times causing a bottleneck in their facilities. Situations like these make single-coat systems attractive. After a sandblast, the railcar can be painted and then moved on down the line, therefore avoiding longer cure times. Epoxy coatings may cure more quickly, but may not be suitable if long-term UV protection is needed. It is especially important to consider a tank car’s intended use where linings are concerned. The longer handling times associated with baked-on phenolics may be unavoidable if product purity is a concern. Since discoloration, odor or other interactions with the coatings system are unacceptable in the transport of food-grade items or sulfuric acid, a baked-on phenolic will likely be the best bet. The importance of choosing the correct tank car lining has increased with the prevalence of hydraulic fracturing as an energy extraction method. Since water often accompanies this method as a byproduct, care must be taken to ensure that water, settling at the bottom of the tank, does not corrode and pit the steel. When leasing a tank car, this sort of damage could substantially increase maintenance costs upon returning the car. This is a concern tank car owners have only recently had to consider. There are also significant benefits of high solids coatings for these railroad tank cars. Choosing the right railcar coating is all about how you expect it to perform. It’s important to consider your expectations for service-life, coating application time and the intended use of the railcar. Once an owner has decided what aspects of performance are most important, then choosing the coating that will provide those benefits becomes that much easier. Visit our railcar coatings page for more information. Most safety directors are all ears when you tell them that for what amounts to a drop in the bucket of their safety budget they can be making their facilities safer places to work. In fact, when we talk about safety coatings as a smart investment, the response we get the most often is something along the lines of “Yea. That makes sense.” And we agree. Consider that according to OSHA, slips, trips and falls make up the majority of general industry accidents. They’re responsible for 15 percent of all accidental deaths, with only motor vehicle accidents causing more work-related fatalities. Safety coatings such as glow-in-the-dark urethanes and non-slip coatings are an easy, cost-efficient way to guard against slips and trips. There are situations where non-slip coatings are mandated in general industry, shipyards, construction and marine settings, but the responsibility largely falls on safety-minded individuals to utilize safety coatings to their full potential. Forward-thinking safety professionals at power plants, refineries, manufacturing facilities and so on are recognizing the diversity of ways safety coatings can be put to use. Non-slip coatings on the tops of railcars and glow-in-the-dark coatings in the hulls of barges are examples of the expanding use of safety coatings. Facility managers are increasingly exploring the potential benefits of glow-in-the-dark (luminescent) coatings for industrial settings. Considering that some countries are testing them for their usefulness on highways, it makes sense that they be used to illuminate important pathways or obstructions in the workplace. These coatings can be used to illuminate pathways to exits if a power outage or other emergency forces an evacuation. By storing energy from lights during working hours, particles within the coating are able to glow for some time after the lights go out. In order for these luminescent coatings to stand up to the harshness of an industrial setting, it’s important that they’re not any off-the-shelf paint. An interior paint with a glowing pigment inside will quickly wear out under stress. When formulated from more durable material such as a urethane, these coatings are able to withstand greater abuse. While, gallon for gallon, non-slip and luminescents may cost more other coatings, it’s possible to do a lot with a little. Painting a curb, line, arrow or overhead obstruction ends up being a cost-effective safety measure. And when it comes to worker safety, it’s a small price to pay. There’s a lot to consider when managing an industrial facility. Regularly scheduled maintenance, repairs, coordinating with vendors, managing employees, the list is seemingly endless. Most of these tasks are line items on a budget. But regularly scheduled painting is something that’s sometimes left out. This can lead to surprise costs and lost opportunities for savings. For reasons we’ve talked about before, a coatings maintenance plan is essential to the overall health of your facility. This post should provide some factors to consider when devising an industrial painting budget. It’s by no means an exhaustive checklist, and consulting with an industry professional will always be your best bet for a comprehensive budget plan. A well thought-out budget depends on a number of factors. The substrate being painted, and the stress that the coating is regularly exposed to will determine what sort of product is needed. If you’ve handled painting decisions before, you may already have an understanding of what you need. But what if a less expensive product can meet your needs? What if a more expensive product will reduce costs in the long run? Accessibility and containment are some site-specific factors that should be taken into account. Staging equipment, mechanical lifts or cranes will increase the amount that should be set aside for the project. Containment will be more important near schools and residential areas compared to industrial parks, which will be reflected in the overall cost of the project. When it comes to choosing an applicator, options range from small startups to highly professional organizations that regularly undertake multi-million dollar projects. Which one you choose will depend on the size of your project, budget and whom you’ve worked with in the past. But project managers trying to save a few extra bucks on this phase of the project should be aware that improper surface preparation or a shoddy application can seriously shorten the lifespan of your coatings system. Quality control and quality assurance are closely tied to contractor selection. A trusted applicator should be able to handle the QC, but the owner needs an effective QA specialist. If the organization doesn’t employ someone capable of performing these services, consider seeking outside help and carve out some space for it in the budget. Taking into account what you’re already doing is a smart way to go about planning a painting budget. Could you create some efficiency in your existing coatings maintenance process to cut costs? Is your maintenance process strategically designed? Take a project manager that applies a two-coat system every five years, for instance. Each time his asset, let’s call it a large storage tank, is repainted, he pays for labor, staging, containment, etc. The actual paint accounts for only a small portion of that budget, usually around ten percent of the total cost. By spending five percent more and adding a third coat to the system, its service life can be extended for another five years. Even if labor for the additional coat adds a further five percent to the total cost of the project, the owner still realizes 90 percent savings by skipping the five-year recoat. Spending a little more on the product helps cut costs like labor and staging from your painting budget. Creating efficiency may also mean reexamining the product you’re using. Facility managers often purchase the same product over and over again, simply because that’s the way they’ve always done it. But investing in a more durable paint upfront may lead to painting less often, resulting in net savings on painting costs. Buying in bulk from a single supplier is also a great way of generating savings. If you’re ready to speak with an expert about devising a painting budget, we’d be happy to discuss it with you. We’ll even pay your facility a visit, so we can provide the best possible advice for your coatings maintenance plan. The facility managers we see operating without an industrial coatings maintenance program tend to be those who have never been burned by not having one. It’s telling that those who have encountered problems from expecting coatings to outperform their service life don’t make the same mistake twice. Neglecting the coatings that protect your assets from corrosion and other damage means gambling in a high-stakes game. Here we’ll take a look at the most common reasons for not having a proactive maintenance plan in place, and how that will come back to hit owners and facility managers right in the wallet. Many owners aren’t considering a plan for coating maintenance right from the outset. The last thing on an owner’s mind when moving into a new facility is the day the coatings will outlive their service life. But having a plan in place before that day comes can save a lot of headaches, and money. Other times, high turnover within a corporation leads to the organization losing track of when a facility’s coatings should be undergoing maintenance. These organizations often find themselves operating without a coating maintenance plan, instead only handling issues as they arise. This process continues until a proactive manager comes along and wonders if there is a way to address problems periodically or incrementally to avoid having to replace equipment or undergo large-scale facility overhauls. By not maintaining the coatings that protect their assets, owners and facility managers invite the sort of damage that can to get expensive. Take the all-too-frequently-true example of a neglected bridge. It receives a three-part, zinc epoxy urethane coating with an expected service life of 25 to 30 years. Now imagine funding for the scheduled maintenance falls through and the bridge’s coatings system is not revisited until it is deemed “structurally deficient” years later. By now, corrosion has led to significant structural damage. Significant portions of the structural steel need to be replaced. New members must be fabricated to complete the rehab. Significant costs are added in the form of repairs, material and unplanned downtime. Only then is the whole bridge ready to be blasted and repainted. As coatings wear off, corrosion begins to attack the asset. Once this process is underway, assets are continuously devalued until they eventually need to be replaced. Having a maintenance program in place to properly protect your assets is a great way to ensure this process never gets started. Financial concerns are just one aspect of a failed coatings system. Neglected coatings can also pose serious safety risks. Bursting pipes, structural collapses, explosions and the like are some of the catastrophic repercussions of a poorly maintained asset. While a new coatings system may not be the remedy for serious structural damage, a maintenance plan will often lead to the discovery of such an issue. The damage can then be addressed properly before an accident occurs. If pushing your industrial coatings beyond their service life is a risky gamble, investing in a coatings maintenance plan upfront is a safe investment. Unfortunately, many owners and facility managers are under the impression that a maintenance plan will automatically involve sinking a boatload of money into their facility all at once. This misunderstanding keeps them from acting on developing a program for their facility. When properly thought out, a maintenance program doesn’t need to work this way at all. Under the right direction, the plan will align with the owner’s budget and goals. This happens by approaching maintenance in two steps. Immediate problems (such as a leaking storage tank) are dealt with immediately. Secondary problems (such as fireproofing an entire facility) are then scheduled out over the course of the plan. This way, the cost of the plan is absorbed over time and the huge expense of a total asset failure is avoided. As with many of the services we offer, there are firms that specialize in designing coating maintenance programs. They will inspect your facility or equipment, write you a recommended plan of action, and then potentially charge you upwards of tens of thousands of dollars for their services. At US Coatings, we see this service as a chance to build relationships. To talk about designing a maintenance program for your facility, free of charge, get in touch with us today. Designing and implementing a painting program can be a daunting task. Many owners and facility managers are unsure of even the first steps to take. In this post, we focus on some essential aspects of a successful painting program and offer advice for how to proceed with each. Identifying and prioritizing the work to be done is the first step. Next, clearly describe the scope of work in a specification document. This description should address the following: staging, surface preparation, application, clean-up and quality control documents. The document should also list any special circumstances, such as testing old paint for heavy-metal content and testing the interior surfaces for chlorides prior to the application of a new lining system. Because this first step determines so much of the project’s success, contacting a NACE-certified professional for coating inspection services is a good idea. • Expertise- Does the contractor have experience with this type of work? One contractor might be fine for painting piping, but does not have the necessary experience for interior tank linings. • Management- The estimator in the office may be very knowledgeable, but how does that translate to field-level management? • Equipment- Is the technology up to date and are workers comfortable using it? Equipment that is in disrepair has the potential to cause delays in the field. • Manpower- Is it sufficient to complete the project, or will the contractor be scrambling to make new hires? • Product knowledge- Are the contractor and his workers familiar with the coatings that are specified for the job? Do they have an understanding of the latest coatings technologies? • Relationship- How well do the owner and contractor work together? Many of the coatings available today can appear quite similar. It’s often difficult to distinguish a quality coating from an average one simply by reading the data sheets. Unfortunately, many manufacturers are more interested in quantity than quality. Even leading manufacturers are leaving the research and development up to someone else, choosing to duplicate or “knock-off” the formula of an existing coating. Often these reformulations are made with inferior resins and cheaper fillers and extenders. The result is a coating that looks similar to another, but with different performance standards. In most cases, it’s best for the owner or manager to rely on an expert that they trust. This coating expert should be knowledgeable in all aspects of the industry and be able to provide options and expected results for each of these options. It’s usually best if the owner relies on this expert to write, or at least assist in writing, the project specification. Inspection is a very important component of the success of any coating project. Quality, thorough inspection of a contractor’s work can be the difference between a service life of few years or many. Whether the inspection is done in-house or by a third-party, ensuring the job adheres to the standards of the specification is the ultimate goal. In some instances, the contractor provides his own inspector to maintain a daily log, but the owner should always have a quality control backup to verify the readings. Much like the selection of the contractor, the selection of an inspector should be based on knowledge, experience, availability and cost. Cost is something that should be discussed at the beginning of a project. If there are multiple ways to approach the job, then budget numbers should factor into decision-making. The owner may want the longest lasting paint job available but lack the room in the budget for that option. In order to get the highest quality job, the work may need to be spread out over a longer period of time. In the end, an owner should have three questions for every option offered by a contractor: How much corrosion protection, for how long and at what cost? Crafting a painting program can be an expensive step in its own right. Or you can reach out to us. We’ll talk you through the process and even pay your site a visit, all as a part of our free consulting services. When you’re ready to get started formulating a plan for your facility or assets, get in touch. We have the experience to take the guesswork out of your project. Some industrial painting suppliers offer “failure analysis services.” If one of their products has failed at a customer’s site these companies will visit your facility, take a few photos and analyze the conditions that may have caused their product to fail. This approach seems a bit backwards. These sorts of (costly) blunders can often be avoided by evaluating site-specific coating stressors before a system is in place. Paying attention to a particular site’s susceptibility to corrosion and other environmental factors can help to avoid these breakdowns. Some of the big-box retailers don’t place any emphasis on this type of service. We think it’s smart, and can hopefully make “failure analysis” unnecessary. Building relationships is good business, and on-site surveys are a good practice for making these connections. By offering no cost, no commitment asset evaluation services, suppliers are able to shake hands with potential customers before they decide to buy. After a purchasing decision is made, a supplier familiar with the particulars of a customer’s site can then design a product with those needs in mind. A petrochemical facility in St. Louis and a fleet of tugboats in New Orleans will have drastically different coatings needs. Understanding those needs is key to offering expert advice and crafting a product that performs. Recommendations for choosing a coating system, plans for proper quality control and quality assurance during and after the application process, and advice on devising maintenance programs to lengthen the life of your coating system all require a thorough understanding of site-specific needs. There are some firms that exist solely to provide these on-site surveys and asset analyses but, as a result of this being their core service, they charge heavily for it. These firms also may have arranged to receive a commission from an applicator in exchange for recommending their services, which could lead to an ill-suited partnership. Whether it is the core service of a company or not, there are a few things you should expect from a thorough asset analysis. Inspectors should have certifications from professional organizations. NACE and SSPC are well respected within the industry. Coating inspection services offered by NACE-certified professionals are a good bet. A report, complete with write-ups of the findings, photographs to accompany those findings, and detailed recommendations on how to proceed at different price points should be included. It is a good sign if these findings are being compiled using some industry respected documentation software. Facility managers should be able to use this report for budgeting or to better understand what type of work can be accomplished at a given price point. An asset analysis also provides the basis for devising a long-term maintenance plan for the site. This takes budgetary guesswork out of the equation when considering the future costs of facility upkeep. For this reason, these reports are also often useful in justifying to superiors spending on coatings improvements. If you feel like you’re ready to have a NACE-certified coatings professional visit your facility, US Coatings is ready for you. We’d love to get in touch. Click the link above, fill out the form and we’ll set up an on-site consultation. If you’re not looking for an on-site survey, we also offer a variety of industrial coating services, including specification consulting and OEM customized solutions. Is a 100% solids epoxy or urethane the right product for your job? What about 100% solid coatings? It’s a question we’re getting from our customers fairly often these days. They’re currently quite the trendy product in industrial coatings technologies. While 100% solids epoxy and urethane coatings do provide some definite benefits, and are certainly a solid (sorry) solution in some scenarios, they’re not always the best solution. In some cases, equally effective (and less expensive) options exist. Here we’ll explain what they are, why they’re used and why they’re not an automatic pick as your best coating option. Before we dive into some of the benefits and drawbacks of 100% solids coatings, let’s define that term. What does the 100% refer to? By comparison, what would a 50% solid be? When coatings are applied, two thickness measurements are taken. One is a wet film thickness (WFT) and the other is a dry film thickness (DFT). The paint is measured once before it has dried, and once again after. The percent solid refers to the percentage of paint thickness that remains after the paint has finished drying, or the difference between the WFT and DFT. Usually, a percentage of the solid is lost and thickness is reduced during the drying process. To compensate, more coats are added until the desired thickness is achieved. For example, a 50% solid would require two coats at 20 mils of thickness to achieve a DFT of 20 mils, whereas a 100% solids epoxy would only require a single coat. This is not the case with 100% solids. They are prized for maintaining the same level of thickness between the time they are applied and the time they have dried, hence the name 100% solids. For the reasons discussed above, 100% solids coatings require fewer coats to achieve the desired thickness level than other options. This is a big draw for facility owners and managers who request them most often. Fewer coats mean less chance of inter-coat adhesion problems and reduced time for the coating process, since there are no multi-step curing procedures in between coats. Also, a 100% solids epoxy or urethane contains no volatile organic compounds (VOCs). Loss of thickness between WFT and DFT in lower solid coatings is due to the evaporation of solvents into the atmosphere as the coatings cure. These evaporating solvents (VOCs) can create dangerous environments in confined spaces and health hazards for workers. A lack of VOCs is often what makes 100% solids ideal for use as tank linings, or in shops were large numbers of coatings for railroad tank cars are applied. Rapid drying times are another benefit of 100% solids. Often, drying times are so short that the coatings are sprayed from plural component systems, meaning the coatings are not mixed until the moment they are sprayed from the gun. They can then be walked over in a matter of hours. Reduced downtime and quick project turnarounds have serious appeal for owners who need their equipment back in service fast. In some cases, service tanks are back in use in a matter of hours rather than days. Additionally, there is the option to add fiber to many of these high solids coating formulations. This provides some additional support for structures getting on in their years. For projects like storage tanks, a 100% solids epoxy or urethane can actively contribute to a longer life span. As mentioned earlier, 100% solids are not a coatings cure-all. They have some definite benefits, including the ones discussed above. But the sheer range of coatings options available makes it unwise to latch onto one option before exploring others. Often it is the case that a few more coats of paint will not exceed the price of buying a more expensive product in the first place. In these scenarios, owners may be better served by choosing a product with properties that are known to suit the needs of their environment, instead of focusing on the percent solids. In other situations, a little extra drying time won’t make or break an owner’s schedule. If a scheduled maintenance period already exists, or factors other than drying time are keeping your equipment out of service, rapid drying times may not necessarily do you any good. And as always, even with the best coatings products on the market, poor surface preparation can ruin a job just as quickly as our 100% solids epoxies dry. Skimping on surface prep will shorten the life of your coatings system, guaranteed. Choosing a product without a proper quality control and quality assurance plan for the life of the coatings system will also threaten its effectiveness. A 100% solid epoxy or urethane may be the best option for your project. It depends on a number of factors. Before you choose, get in touch with US Coatings to discuss your project with a qualified coatings representative. We’ll talk you through the entire process, from product selection and surface preparation to application and equipment recommendations. For our entire list of 100% solids and low VOC coatings, click here to view our full product catalog. For our specific epoxy primers and finishes, see our epoxy product page. Comments Off on Is a 100% solids epoxy the right product for your job?